Lock in a great price for Hotel Restaurant Passage – rated 8 by recent guests! 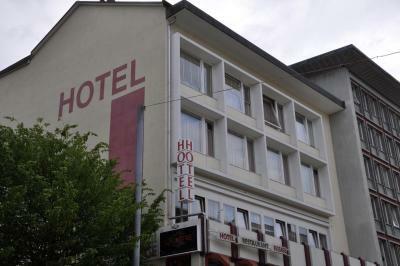 Hotel located in the very centre of Grenchen. 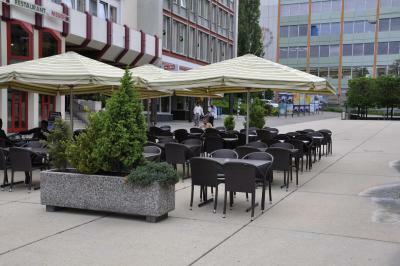 It is easy to find restaurants nearby. 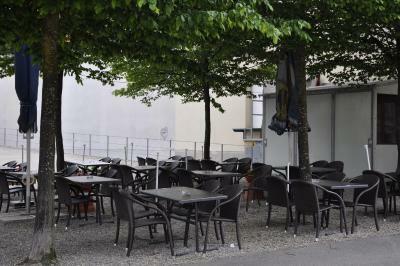 The owner is friendly, one of the hostesses met during breakfast is different, not as nice as the owner. The bed is very comfortable. The bathroom is spotlessly clean. 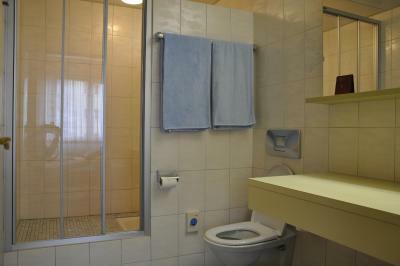 Clean and rather spacious room, really nice and big shower. Doors close fully, i appreciate that cause in some hotels the shower doors/curtains are a mess lol. The bed was comfortable and the view was towards the backyard nice&quiet. There are shops nearby and a little mall with a coop (grocery store)&a pharmacy (very helpful cause i got sick). 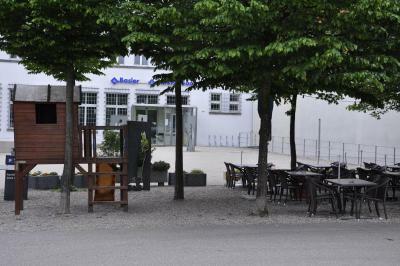 It's quite a walk from the train station Grenchen Süd but easily accessible. Breakfast was included in the price. The room had almost everything we needed, free wi-fi, spacious wardrobe, tv, telephone&a little fridge. Shower gel was provided. There is a restaurant downstairs but we didn't hear any noise from it at all. very good and very comfortable i hope to come again in 2019. Schönes, grosses Zimmer, grosses Bad und natürlich sensationelle Lage inmitten des Markplatzes! La grandeur de la chambre et la qualité de la literie. Das Bad ist neu und schön eingerichtet. Im Einzel ein schönes breites Bett (ca. 120cm), allerdings nur mit einer dünnen Decke ausgerüstet. Auf mein Verlangen wurde mir umgehend eine zweite Decke ins Zimmer gelegt. Binnen de norm en prijsverhouding. De eigenaar heeft om 08:00 uur de parkeer meter gevuld waar ik geparkeerd stond. Klasse. Er is namelijk haast geen parkeerplaats in de buurt zonder meter. 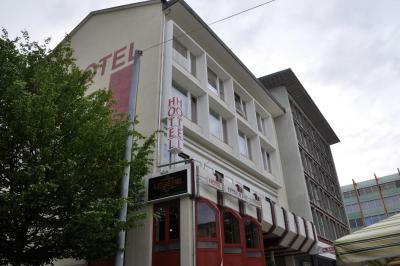 Eigentlich hat mir an diesem Hotel nichts gefallen. Ich brauchte an diesem Tag eine Unterkunft. Hotel Restaurant Passage This rating is a reflection of how the property compares to the industry standard when it comes to price, facilities and services available. It's based on a self-evaluation by the property. Use this rating to help choose your stay! 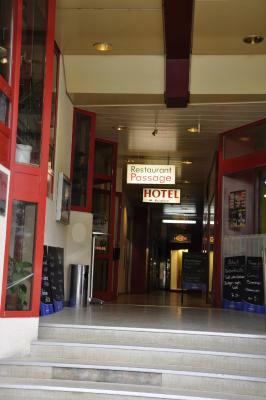 The Hotel Reestaurant Passage is situated right in the center of Grenchen’s pedestrian zone, 7 minutes from the southern and northern train stations. 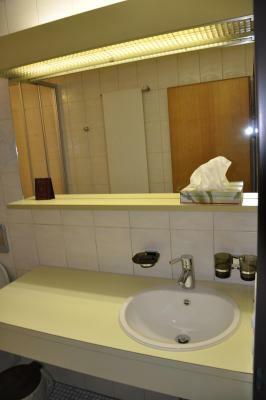 The hotel offers rooms with private bathrooms with a minibar and free Wi-Fi. 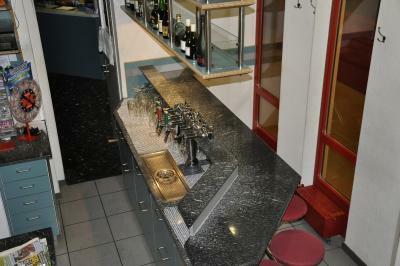 Traditional Swiss food is served in the restaurant of the Hotel Passage. Solothurn is just a few miles away. When would you like to stay at Hotel Restaurant Passage? House Rules Hotel Restaurant Passage takes special requests – add in the next step! 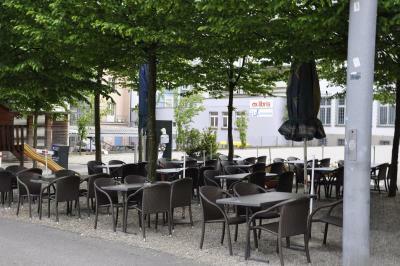 All older children or adults are charged CHF 30 per person per night for extra beds. Hotel Restaurant Passage accepts these cards and reserves the right to temporarily hold an amount prior to arrival. No parking facility. The church bell ringing all night. I could be wrong, but I think the whole hotel is locked up at night. I had to leave very early one morning (about 5am). All the doors were locked. I was able to exit through the back door, but had I forgotten something and needed to get back in, I'm don't think I would have been able to. Figuring out why the front door is locked on Sunday at 6.00pm! Free, decent breakfast and happy staff. As usual in Switzerland i found it to be very expensive esp.given the fact that Grenchen isn't a major city. (At least breakfast was included). Check out was already at 10:30 a.m.&although the hotel didn't seem full at all and i was clearly sick (you could hear that over the phone) no late check out was granted. I found that to be a bit weird, no other hotel had ever denied me a late check out...it's clearly a bit of an old building but everything was fine. It was just weird that you could see light shine through part of the wooden ceiling (room 22 above the wardrobe). I didn't mind the walk but it is a little distance to Grenchen Süd. jeg synes at det er et perfect hotel.